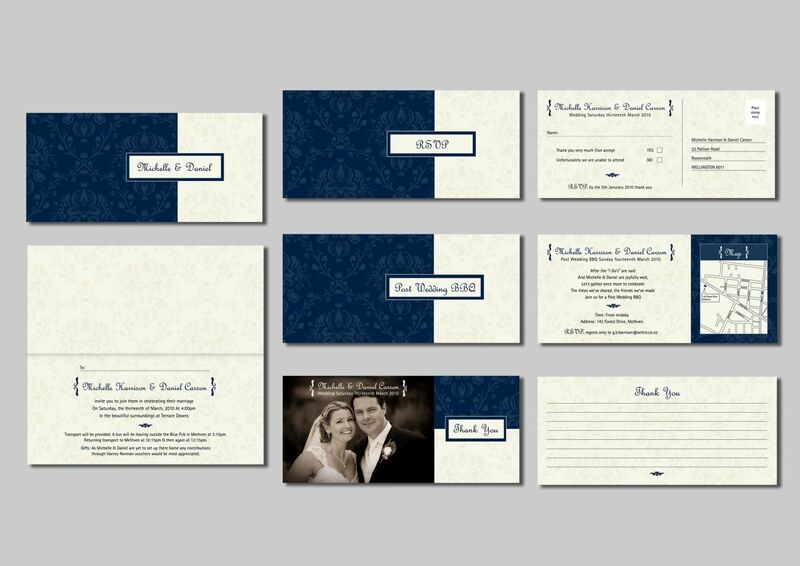 Project: Wedding Invitations, RSVP Card, Post Wedding Barbeque Information Cards, and Thank You Postcards. Brief: They requested a sophisticated classic invitation design with the main colours for the theme being blue and ivory cream. Solution: I created a floral pattern with a classic damask pattern, the thank you card featured a black & white photo of the happy couple. “We loved the wedding stationery you created thanks Sharon, it was very summery and beachy and exacty what we were after… Thank you so much”.